Leigh: I go through all that, and his gun isn't even loaded. Q: Is this film a remake? John Carpenter is one of few directors who can successfully transform their movies into giant roller coaster rides without insulting the audience. James Cameron does this, sometimes, but usually adds more plot to his stories. Carpenter just takes simple premises, throws some characters together, and lets everything evolve and unwind on their own. 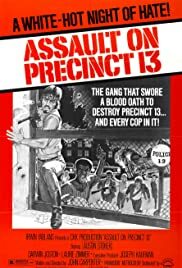 "Assault on Precinct 13" deserves to be mentioned in the same breath as "Dawn of the Dead," or perhaps the overrated "Texas Chainsaw Massacre," as a very low-budget horror/thriller that takes a cast of unknowns, places them together, doesn't really delve into their backgrounds, but lets everything just work itself out like clockwork. There's an eager new cop, an infamous death row murderer, and a relocating precinct, all stuffed together into a movie about a vicious gang assault. It's brilliant in a very subtle way; a sign of things to come for a director who has implemented some of the most oft-used camera tricks in the horror world. He pioneered the first-person killer perspective in "Halloween" - an effect sorely missed on full screen TV and VHS versions, to once again be savored on the wide screen DVD presentation. Carpenter received quite a number of critical jabs in 1978 for his use of the POV technique, explained to be too voyeuristic and potentially dangerous to be shown in a mainstream motion picture. Hitchcock used the POV technique very subtly in "Psycho's" famous shower sequence, but in "Halloween" it was far blunter, resulting in an uproar of moral complaints. No matter. "Halloween" became movie horror legend, casting a spell over its viewers, inspiring major knock-offs such as the "Friday the 13th" series (which has overall made more money than the "Halloween" franchise due to more sequels than "Police Academy"). "Assault on Precinct 13" was one of Carpenter's very first efforts at directing. It shows. The movie is flawed, imperfect, both technically and otherwise (some of the dialogue in particular could have used fixing, and the acting is nothing incredible by any means). But it still has an addictive sense of urgency and frantic pacing that makes the movie feel like one long, non-stop, brutal assault - even though the setup for the film takes over forty minutes. It may not be a flawless film but it is one of my favorites. It's about a new cop named Bishop (Austin Stoker) who is put in charge of a transferring L.A. police precinct - number thirteen. 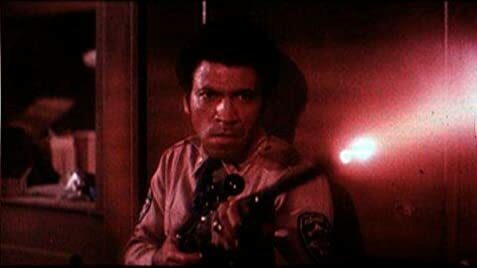 As equipment is carried out of the building and last-minute closings are made, far away a bus load of convicts, including notorious murderer Wilson (Darwin Joston), decide to stop at precinct 13 due to the fact that one of the criminals seems to be coming down with a harsh cough. And downtown, a young girl is shot by a ruthless gang member. Her father shoots the killer, and then flees to precinct thirteen, hunted by the gang members, who eventually begin to siege the precinct in a suicide raid. Trapped with two killers, a few cops and a jail warden, Bishop and company try to think of a way out of the place without getting shot by the vicious gang outside. That's basically it - people stuck inside a police station trying to get out without dying in the process. The movie is only ninety minutes long, give or take, which is a good thing, because if it had been any longer it might have lost some of its pacing and become tiring. Instead, there isn't a single scene in "Assault on Precinct 13" that I think should have been cut. I'm sure there are some that could have been tossed onto the editing room floor, but I'm glad that the movie is the way it is - it flows smoothly and we don't ever feel like a scene has gone on too long or too short. In that sense, it's just about perfect. Carpenter has had one of the most successful careers of all time, followed by a legion of cult fans. His "Halloween" is one of the greatest horror films of all time, and one of the most influential. He occasionally makes his duds, like any director, but in this case, the good far outweighs the bad. "Assault on Precinct 13" is an utterly refreshing film experience that manages to maintain a fast speed but never appears to be cheating its target audience, or treating them stupid. The movie is being remade in 2005, with a considerably higher budget, bigger names, and probably worse directing. I don't really look forward to this remake because I can almost guarantee that, given the age it is being made in, there will be many pointless plot explanations, worse dialogue and bad direction. "Assault on Precinct 13" does not really need to be made again because the first one works so well. History has taught us that most remakes are not at all on the same level as their influences - just look at Hitchcock's "Psycho," then Van Sant's. If it isn't broken, don't fix it. "Assault on Precinct 13" is not broken and it does not need to be fixed. 79 of 93 people found this review helpful. Was this review helpful to you?